Dubai government started an initiative almost 20 years ago to start Free Trade Zones in the country to increase their market values and transform the economic structure. 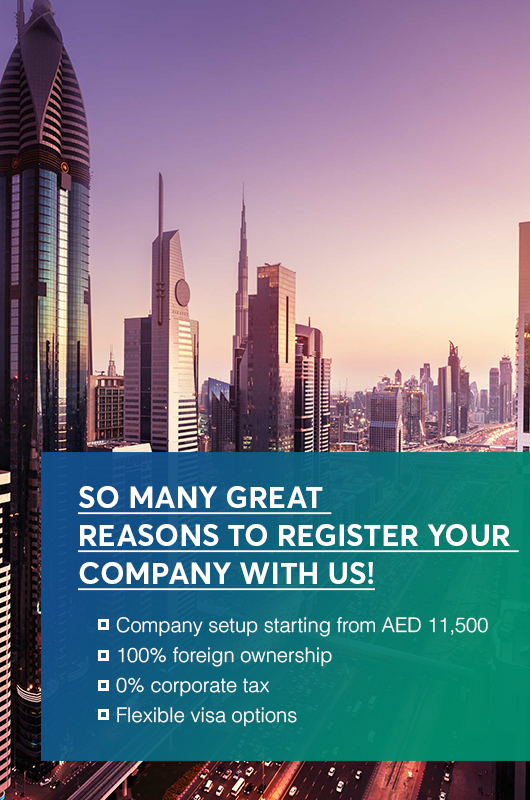 Dubai has amazing benefits for foreign investors and offering them reliable off track inducements. That’s why DAFZA is the first choice of many foreign investors. Dubai Airport Free Zone (DAFZA) is a place for more than 1600 registered companies from around the globe carrying out their tasks in the heart of UAE. DAFZA is a pioneering step taken in 1996 by the government of UAE to change the industrial control and to create an investment-driven economy for everyone. Not only these there are many Free Zone authority in Dubai like Dubai Academic City, Dubai Creative Clusters Authority, Dubai Biotechnology, and Research Park and much more. Located next to Dubai Internation airport, DAFZA is one of the fastest growing Free Zones in Dubai with many shares worldwide. In recent years, Free Zones has been a major benefit to the growth of many businesses and shareholders. This creates an amazing market sense and creates a benchmark with the UAE government. As a result of this, Dubai achieved its value in the international community for business persons to start their offshore firms here. Apart from all this, there are so many benefits like complete ownership, less taxation and least constraints. Dubai Free Zone Authority handles all the business registration and licensing process. In terms of geographically, Dubai Free Zone acts as a bridge between African Markets, Europe, Some parts of Asia and the Middle East. Each Free zone company in Dubai and other emirates has its own business advantages over the others. Here are some advantages that are perfect for any business to consider DAFZA as their first free zone choice. DAFZA permits 2 types of Legal entities. By following these entities and their whereabouts you can start a successful operation in Dubai Free Zone. Any foreign firm can open its offshore branch company or office in the Dubai Airport Free Zone. No minimum capital is required in this process. Although you have to first state the type of licenses for your business. There are 4 types of licenses available in DAFZA explained below. To start a business in DAFZA, the first step is to state your nature of the business and require to have a proper license from the government. There are 4 different licenses available in DAFZA to start your operation in Dubai. 1. Service License A service license is used to enable the entity to provide services in a specified region. It is usually meant for service-oriented businesses. 2. Trade License Trade license includes import, exports, distribution, and storage of a specified product. A business trade license is compulsory for every business entity in Dubai. 3. Industrial License An industrial license is used for manufacturing of a specified product. This includes industrial activities, assembling, and packaging. 4. General Trading LicenseA company can apply for General Trading License if they wish to export, import or trade goods or products such as electronics, furniture, clothes etc. This license is normally used when a company wants to trade in more than 2 products. The Dubai government has sorted out many complex things in a user-friendly online procedure. DAFZA, on the other hand, has maintained a systematics process for company management and registration. The process is completely hassle-free and easy to understand. It requires only three basic steps that are described below. The most common step is to first select your nature of the legal business entity. The next step is to select either you want a Branch Office or a Free Zone Establishment. Once you have chosen the business entity, it is now time to select your business license which is according to your business operation. After you have chosen your Business license, now its time to select the right facility for your business location. DAFZA provides a huge variety of co-working spaces, fitted office spaces, business offices, and light industrial units for your business operation. If you want to register a company in Dubai Airport Free Zone Authority then the following documents are required. After submitting all of these documents, the process will take 2 to 4 weeks. It is important to note here that each Free Zone Authority in Dubai has its own terms of documents. All the documents mentioned here are for DAFZA only. Our team at Setup Dubai business has helped many potential clients to set up their business in many Dubai Free Zone Authority. We have potential experience in every nature of business in Dubai. Our team of business consultants can take care of your company banking operation, registration, license, facility, taxation, and VAT registration. Contact us and our team will gladly assist you in any nature of business in Dubai Free Zone Authority.